Ugly Duckling Presse, 9781933254494, 96pp. Poetry. 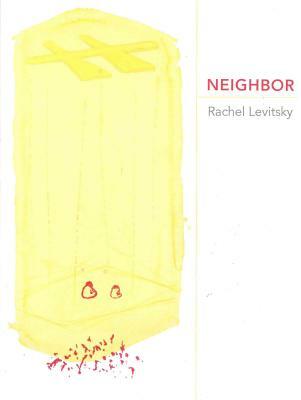 "In her second full-length collection, Levitsky challenges readers with an expansive sequence of poems that vigorously dissemble and reassemble notions of what a poem is and does ... ] A decisively innovative book; NEIGHBOR is brimming with sharply reported discoveries"--Publishers Weekly. "NEIGHBOR is a sweet saga of disconnection. A collectivity of loss. Rachel should be working for the city of New York. 'I've decided to use my obsession/with my neighbor as the context/ for a discussion of the State.' That in itself is incredible"--Eileen Myles. "In and outside the window of Rachel Levitsky's apartment lie sadness, amusement and conflicted regard for the weirdo constructs of faith and scum politics. Her poet energy is a sweet intellect with lazy compulsive lines dropping onto a free and wishful page, ok with semi-resolve amidst the minor clatter of daily lust"--Thurston Moore.